After something cozy to help me ease into winter, I thought I'd offer something fresh and vibrant to help you ease into Spring (not that anyone really needs help with that!). Spring is such a beautiful season. Just warm enough to wear short sleeves or a tank top, but still necessary to carry a cardigan at night. Perfect sleeping conditions. No need for air con or heat. Flowers galore. It's perfectly lovely. It is at this point that I begin to crave fresh berries, feel the urge to bake pies and paint my toe nails (not at the same time). Although I can paint my toe nails any time I'd like, I unfortunately would have to wait a couple more months before making myself sick on berries. Strawberries are the first to come in season usually around June and one of the most magical pairings with strawberries is lemon! Strawberry lemonade - amazing! 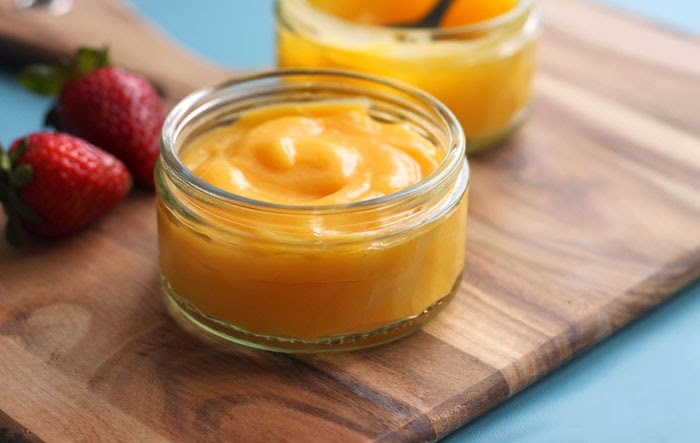 Lemon curd is a stirred custard that is set with acid AND heat, as opposed to vanilla custard which is only set by heat. Acid helps to encourage the egg proteins to bond to each other and create the gel-like consistency of curd. Imagine a tangled up network of protein strands trapping a mixture of water, lemon juice and sugar within. The tighter the network, the firmer the curd. 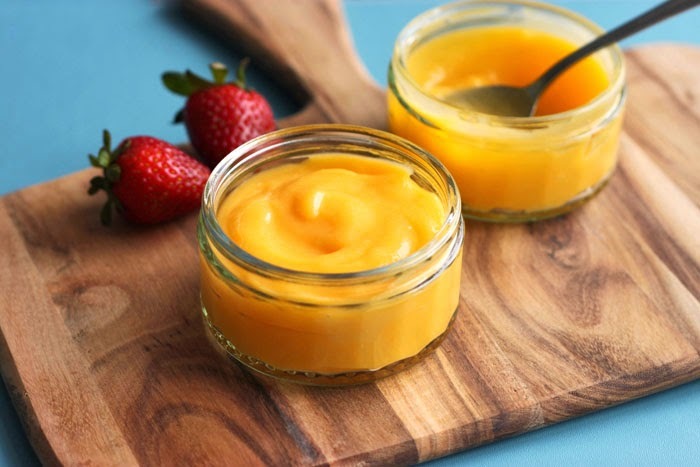 Other spoonable custards, like classic crème pâtissière or pastry cream, need a bit of help from corn starch or flour to thicken. Here, cold butter is stirred in right at the end to enrich the flavour, soften the texture and give it that glossy gloss. It's cold because that way it melts slowly into the curd and blends in evenly or homogeneously so that the mixture doesn't split or separate. A great way to infuse extra awesome lemon flavour into the curd is to use the zest, but here we go beyond just throwing in some zest. Really rubbing the zest into the sugar will coat the sugar crystals with lemony essential oils. These oils are where all of the citronella-like flavours called limonene and linalool live. 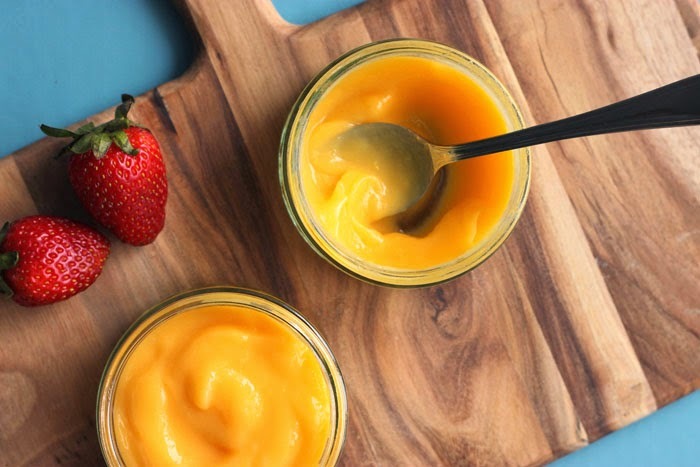 If there were ever an easy way to bring Spring into your kitchen and create a bangin' in-a-pinch dessert, this would be it. There are lemon curd tarts and curd-filled cupcakes; spread it between two sponges or roll it into a Swiss roll. How about lemon curd, white chocolate and crumbled meringue? Vanilla ice cream + lemon curd + raspberries. Rub the sugar and lemon zest together in a medium heatproof bowl until fragrant. Add the whole eggs, yolks and lemon juice and whisk to combine. Place the bowl over a saucepan with simmering water and whisk constantly for 2 minutes. Switch to spoon and stir constantly until very thick. Pass the mixture through a sieve and stir in cold butter until smooth. Cover with plastic wrap directly over the surface and refrigerate until completely cold.